Lola’s Ramblings: How and when do you write your blog posts? I am going to talk about writing blog posts today. As you might know I don’t really have a schedule or specific time to blog. I mostly try to blog when I have inspiration, but also have a sort of system of when I write my posts usually. It depends on the type of post, so per type of posts I will explain how and when I write those posts. I always schedule my posts for 9am my time, so that’s about 2am EST time if I am correct. 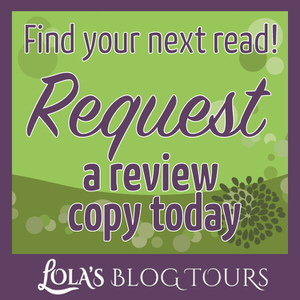 I try to have only one post a day, Monday, tuesday and wednesdays are for reviews or tours and cover reveals. Thursdays is for Lola’s Ramblings posts, Fridays are for Lola’s Kitchen. Saturdays are for my to-be-read list meme or reviews. Sundays are for the sunday post. I write my review of a book after I finished it and before I start a new book. I write my reviews of goodreads, then spell check in Notepad++, once I am satisfied with the review I publish it on goodreads. Then in Notepadd++ I start making the review post for my blog. I add the blurb, cover, links and html code so everything shows up right. Then I go to my blog and make a new post, where I load my review template. This template only contains the review header and the heading html code for the question on the button of the post. I copy and paste the html code for the review post I made in Notepad and add the relevant star rating on my blog. Then I come up with a questions that is sort of relevant to the review. I schedule my reviews for the next open slot on my blog, which is usually a monday, tuesday, wednesday or saturday. After that I add the book and link to my review for any challenge recap posts it counts for. I also link to the review on the my reviews page. I usually schedule my sunday post on monday or tuesday. I only work on one sunday post at the time. 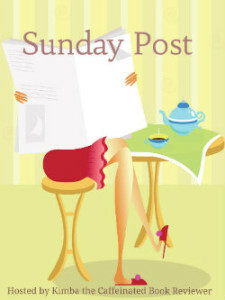 I use the previous sunday post html code as template for the next sunday post. I don’t have a standard template for this. Usually monday or tuesday I start a new post and copy and paste the whole previous sunday post. I remove things like the what did I do that week, but leave most of the mark-up and codes intact. Once I removed everything I won’t need anymore for the next sunday post I start adding new things. Usually when I schedule the post on monday or tuesday I know the dinner schedule for a the rest of the week already and add that. I might have received a book or already know a few things that will happen that week. I add those and then over the course of the week I add new things when necessary. 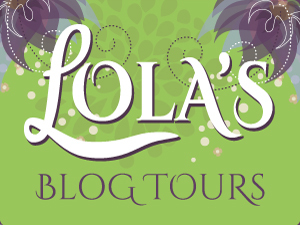 When a new sign-up post goes live on Lola’s Blog Tours? Add it to the post. I receive a new book for review? Add it to the post. I do this in little steps and then saturday evening I check everything another time to make sure it’s all correct, remove some typo’s and add the last few details. And it’s ready to go live the next morning. 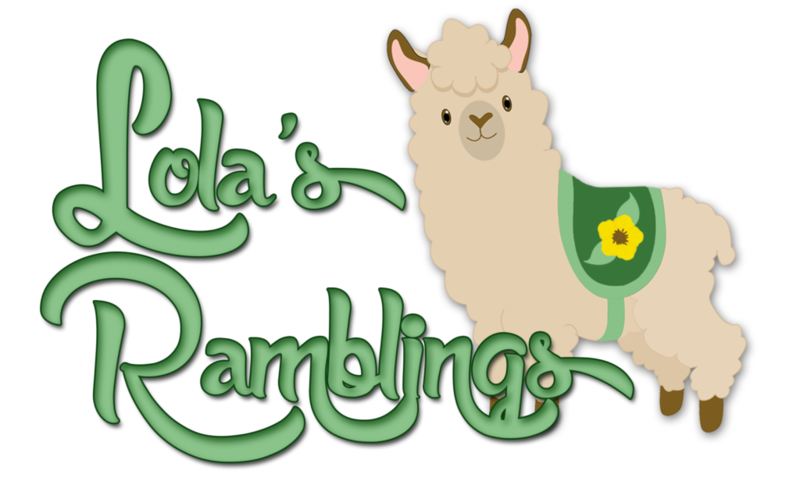 I try to keep about 1-2 months ahead with Lola’s Ramblings posts. Most Lola’s Ramblings posts get written towards the end of the month. I am writing this one end June. Before the month ends I want to be 2 months ahead, so before the end of June I want to have all the August posts written. Being ahead with Lola’s Ramblings posts prevents stressing and if a month is really busy I know I still have a buffer. While I don’t have specific days when I write my posts, the closer it get’s to the end of the month the more pressure I feel to get those posts written. Sometimes inspiration strikes and if possible I try to write my posts then. In other cases I just have some free time and decide to write a blog posts. Then I check my list of possible topics and pick the one I most feel like writing. I keep track of possible topics in my google calendar and in a notepad. If I already have an idea which posts I want to write I schedule them in google calendar for that day, but this is still flexible. 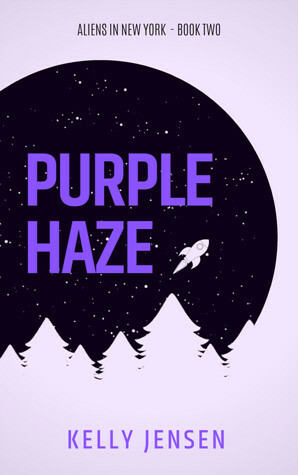 Post ideas are light purple and only once I have actually written and scheduled the posts I change it to dark purple on google calendar. When I write a Lola’s Ramblings post I first load the template for that type of post which contains the html code for the lists, the banner and the intro text and place for a questions below. Having the template with already the heading code for a question at the bottom of the post makes it easier to remind myself I have to add a questions. I usually type the title first, then the question and then type the post. After the post is done I add the images. The sunday before a new Lola’s Ramblings post goes live I re-read the whole post again, change a few more things and do spell check. I might rewrite a few thigns, add points of whole paragrpahs, but usually these are minor things. Mostly rewording snetences, clarifying thigns, addign a few sentences. Lola’s Kitchen posts are a bit random as well. When I make dinner that I have made at least once before, but haven’t done a recipe post for yet I try to make pictures. I like to tweak most recipes, so that’s why I always make it at least once before I make pictures. It’s also handier to make pictures when I already know how to make it. After I made the pictures I try to write the recipe post the same evening if possible. But that not always works. So then I write down in my google calendar which posts I still have to write. Beside that it works like Lola’s ramblings, where I write it down if I have a good idea and try to keep 2 months ahead. When I am writing recipe posts I first load the Lola’s Kitchen template which already includes the headings for ingredients, method, pictures and variation tips and the code for the lists. Then I write the ingredient list, the recipe and the variation tips. Then check the pictures I made and write down the numbers of those I want to use in my post. Then I add the pictures to my post and schedule it for the next empty friday. My To-Be Read List meme. The My To-Be Read list meme is a meme where visitors can vote which book I will read that month. The first saturday of the month is for the poll, the second saturday of a month is to highlight which book won and the last saturday of the month is to review the book that won. I always keep these dates open in my calendar. The poll posts usually get’s scheduled everywhere from two weeks to a few days before the poll has to go live. Usually I schedule it when inspiration hits or when I have time. I also have a template for this one, which includes the header and blockquote and strong codes for the title. Then I pick 3 books I feel like reading at that moment and make the poll posts. Then go to surveymonkey and set up the poll and add that to the post. Then the friday after the poll I check the votes and schedule the chosen book post. If one book has a lot of votes and I don’t see that changing I might schedule the chosen book post earlier in the week and then check friday to make sure that book still wins and I have the right amount of votes listed. Challenges goal and recap posts. Most challenge goal posts I write once I decide to sign-up for a challenge or soon after that. I often schedule them for the next open spot on my blog or for the next week if the next opens pot is too far away. Once the goal post is live I already draft my recap posts. Then once the challenge starts every time I finish writign a review I check if a book counts for that challenge and then add it to the recap post if it does. I find it easier to keep up with this like that than wait till the challenge is almost over and then schedule the recap post. Usually after I schedule my review I think for which challenges the book counts, then I copy the information of the book from the sunday post book haul when I received the book and paste that in the appropriate recap post. By the time the recap psts almost goes live, I just have to check everything is correct one more time. 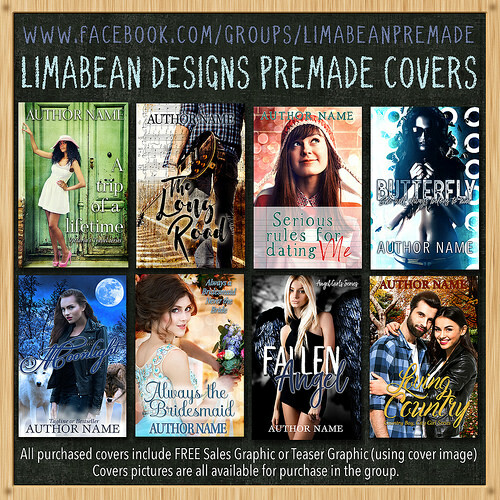 Cover Reveals/ blog tours etc. Usually I schedule these as soon as I receive the media kit for the tour. If it’s a tour I organize myself I often have the media kit as soon as the sign-ups are open. In that case I just schedule them whenever I have time. As soon as I sign-up for a tour I add the tour to my schedule, so I know not to schedule anything else on that day. With cover reveals I still have to add my cover review. How and when do do the social media shares for my blog posts? Nowadays I set up all the social media posts and tweets on sunday for the next week. Unless I am so busy I can’t do that, but I like to make tiem for this as it really helsp to set one hour apart for this ad then don’t have to worry about it the rest of the week. I have Jetpack linked with my facebook and google + account, so I don’t have to do anything for those and they share every day the moment the post goes live. I do try to modify the text if possible as else the text is a bit weird and takes the literal text from the blog post. My tweets I schedule on sunday for all my posts that week. I try to schedule about 3 or 4 tweets for each post. The first tweet of the day is around 11am and contains mostly the post name and hashtags plus the book cover if it’s a review. Then I often schedule a tweet for evenings in my time and aroudn 3am my time for the US peeps. 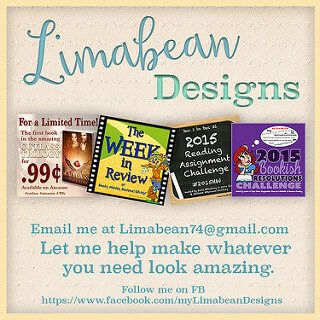 For Pinterest I do the pins daily. Each day I check my posts and pin if necessary. For my reviews I have a review board, for blog tours and cover reveals I have a board and I also have a Lola’s Kitchen board. How and when do you write your blog posts? And when do you share your posts on social media? Thanks! Sounds like we work on the sunday post and our reviews in a similar way. I can imagine that your new blogging schedule makes posting easier. For me it really helped to get ahead with my more difficult posts like my ramblings and kitchen posts and once I was ahead I only had to keep up to stay ahead. Getting ahead is the difficult part. Wow! It sounds like you’re really organised. I always wish I could try and prepare my posts further in advance, but I always end up just writing a post as and when I get inspired and then I usually schedule it for the next day. As you can imagine, this makes my posting schedule pretty random! Thanks! I joined a challenge last year called the blog ahead challenge that really helped me with getting ahead with posts scheduled. Getting ahead is the difficult part, staying ahead is easier, at least for me. I do try to write my posts when I feel inspired, especially my lola’s ramblings posts as I prefer that to forcing myself to write posts because I have to. That’s another part where the being ahead comes in handy as I don’t feel pressured too fast. You are very organized! I tried to write ahead and schedule once, but it got away from me. Thanks! I think you should blog how it works best for you. For me that’s staying ahead as that way I don’t feel pressured or rushed and more in control. And when I have a bad week I still have a buffer. I love your organization. I’m not that far ahead. I got really far behind while I was on vacation and did a ton of reading, but didn’t have a laptop with me to write reviews. I did write a few notes so that I was able to review the books when I got home and I have most of the reviews written, but still need to do the posts. I like to write my reviews in Google Docs. It isn’t the greatest tool, but it autosaves constantly, so I never loose anything. I can also access from any computer with internet access or even my tablet (which I rarely do, but have done once and it was handy). At least you got a bunch of reviews to write afterwards! I like google drive, but for some reason I like writing my reviews in goodreads and notepad. I also keep copying my stuff often as I’ve lost a few reviews due to goodreads not saving. That autosave function in google drive sure sounds handy to prevent that. I used to be that organized. I used to always have something for most days of the week. Not anymore! It added stress for me and zapped the spontaneity of the hobby especially when I can’t think of something. Being organized and scheduling things in advance actually removes the stress for me and knowing I don’t have to worry about writing posts as soon as possible gives me my enthousiasme and creativity. Interesting how different methods work for different people. I have a few facebook pages who participate in my tours and it sure looks like less time to post there compared to a blog, they just copy and paste most of the info and add all the images and it still looks great. I might consider doing that with my own facebook page, but hardly anyone sees my posts, so not sure if it’s worth it. I have 30 days worth of blog posts written and scheduled to post right now. I don’t have a certain type of post for each day with the exception of Freebie Friday on Fridays and Happy Raturday on Mondays. All other days are for whatever seems to be there when I feel like writing a post. I write product reviews for the free products I get for review 2-3 days after I get them so I’ve had time to try them out. I write the book reviews right after reading them and then space them out throughout the month in between the product reviews. My blog is pretty random, I post pictures of my animals, review products, free stuff I get, books and the different subscription boxes I might try out. I also rant every once in a while but its been a while now for that. I think you are even more ahead than me at the moment. I used to be above the 30, but dipped to 27 last time I checked. I always like seeing your product reviews, you get so many interesting products for review. I once considered setting up a blog for product reviews, but I don’t have the time for another blog and it would be unhandy as then I probably would have to do everything in dutch as I can’t imagine american companies willing to send stuff overseas. I think you have a nice mix of random posts, reviews and product reviews and then your raturday and freebie friday posts ofcourse. I don’t handle the posting side of the blog, but Shari is pretty organized. She works on review posts once a week and our posts like TBR pile vote and monthly report around the third week of the month. Special posts like interviews, guest posts, etc are as needed, but at least a week ahead. So you just deliver the content to Shari and she makes the post? I was a co-blogger once before I started my own blog and we both had to write the posts, the problem with that was that we planned things for the same day and such, it was a bit of a mess at times. So having one person handle the posting side sounds handy. Writing everything a week ahead sounds handy! Yes, I write up a review or post in Microsoft Word and include any links and pictures then she formats and sets the time of the post. It helps keep things from hitting at the same day. I also run any tours or author posts I’m signing up for by her before I do it- also to keep from doubling up. Wow, you are amazingly organized. I am barely getting ahead enough to schedule posts, though I do typically write the review while I am reading or directly after, and before I start the next one. 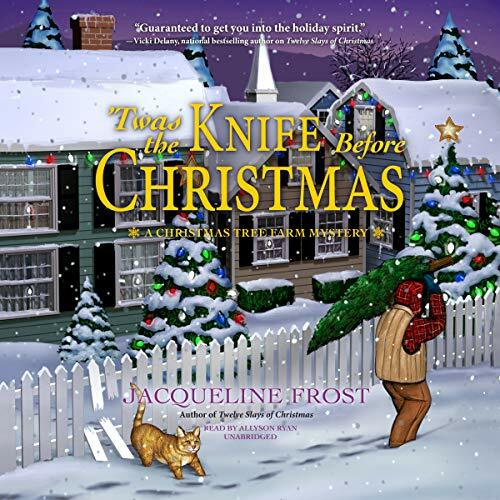 One weird thing I do though, for books I read pre-release, if it is really too early for posting, is on goodreads, I put the date it is scheduled and the permalink. Getting ahead is the difficults part. For a long time I wans’t either, until I managed to get ahead with my ramblings posts thanks to a get ahead ahead challenge I joined and noticed how much it helped. I have to write my review before I start a new book, it just doesn’t feel right else. Oh I like your idea of including the permalink on goodreads and for when it’s scheduled, then people know when it will be on your blog. It does seem to be working well, and then when I have a bit of free time it’s very easy to update a bunch of them goodreads, since I can just go down my read list and the links are right there. I write them on goodreads first even though it’s early in advance as else I am sure I would forget, just like I often forget to cross post on amazon. It does sound handy to just click on those links and copy and paste your review. That is the other benefit, it does remind me to write my review on Amazon too. I am trying to post on amazon on the day the review goes live on my blog, but it hasn’t become a habbit yet. Your process is really great though! And understandable since you have so many posts to organize especially when it comes to blog tours. It could get messy really fast if you don’t keep track of it. I also have that happen sometimes that I start a post and then don’t finish it. I even recently had thta happen I had a post about a topis planned and started and then when I got back to it I couldn’t make anything from the post, I just couldn’t think of thigns to write, so I reverted it to a draft and wrote another post for that day. So I usually try and write a post in one sitting or the same day, so I can stay in the flow. I usually fit in writing blog posts whenever I can or feel like it and somehow it works. For my reviews, I write them either right after I finish a book, or occasionally right after I finish a second book. (So sometimes I’m writing 2 reviews back to back because I’ve procrastinated and read a book between.) At the moment I have just over a month’s worth of reviews scheduled for my blog. If I get an ARC for the month I’ve already got books scheduled, I’ll swap out a post to fit the ARC in, and move the review I swapped it for to the next open slot in my schedule. They get posted every Wednesday, Thursday and Sunday. For my Discussion posts, I try to get them written at least a week ahead of time. Since they go up on Saturdays, that means that some weeks I’m writing the next one on Sunday or Monday. But occasionally I’ll forget and do it on Thursday or Friday. For soem reason i realy dislike the thought o havign two or mroe reviews to write and I can’t and won’t start a new book until I have written that first review, it’s almost an obsession. I did break it ocne this year ad it just felt wrong. I am so jealous of that buffer of reviews you have. I would love to get ahead 2 or 3 weeks with reviews. I am at one week ahead right now and staying there is a challenge as I have to read fast enough to get ahead. As long as you still get your FCF posts written in time that’s all that matters right? Thanks! Being organized is one of the things I can do. I don’t have kids to worry about, so that also helps with extra time, although I do have oen ept rat who requries some time. Writign a post the day before is so stressful to me, all my inspiration just flies out of the window when I am stressed. Or I would suddenly have a new tour I had to work on and can’t write it. That’s why I like to be ahead, so i can blog on the days I have soem free time. I do like how your way of blogging relates to your blog name, it fits. I am not sure if I would be a good life coach as my way of blogging is moee of an organized chaos, doing things whenever I want, but get things done in time at the same time. I think the secret is getting ahead, staying ahead is easier. I still struggle with my reviews as I don’t read enough books to get ahead. I use Ashley’s UBB for my reviews, that way, I fill in the book-information, and then the rest of my review is easy to do. I don’t always write a review straight away after finishing a book, though, and right now, I have several books I’ve read but not reviewed yet. It’s nice that you’re so organized and have your ramblings prepared a long time in advance! The UBB sounds very handy, but for some weird reason I kinda enjoy coding my posts from scratch and then just copy and pasting the whole post into a new post. Writing one review I can usually fit into my day, but if I have more than one to write it also takes mroe time, which I often dont have, so I prefer to write one of them. And it’s easier to remember what I wanted to write about. The book doesn’t feel fully finished until I write my review. I write blog posts pretty much as I go. I have only one or two scheduled at the moment. The minute I finish reading a book, I write the review and post within a day or so. I use a plug-in called NextScripts to automatically send out my posts to social media. I just log on when I can and share stuff when I am online other than that. Oh I do use the plug-in Tweetily to send out older posts. I have my facebook linked to my twitter so they both get those older posts out every 4 hours. I don’t post things to pinterest for the most part. I probably should but, uh too much trouble. I’ve seen some other bloggers use a plugin that tweets out old posts, I might have to look into that once. Sounds like Nextscripts works similiar to jetpack when it comes to sending out posts to social media, it’s handy not to have to do that manually. I actually find pinterest the easiest of them al as it only requires hitting the pin it button. And I like pinterest, so that’s probably the reason I share my posts there as well, I don’t think anyone ever comes from pinterest to my website though. You are so organized, Lola! Wow! I’m working on organization, but I’m not there yet. When I finish a review, I write up some quick thoughts, usually on Goodreads. Then I copy them over to Notepad and save them until I have time to write up the whole review. I try to get reviews written well ahead, but right now, I only have the coming week scheduled out, and a few here and there beyond that. As for my Sunday Post, I do what you do, though not as early in the week. When I have time, I copy the previous Sunday’s post into a new post, strip out the what-I-did-and-read stuff, replace “Next Week on the Blog” with “Last Week on the Blog” and start a new “Next Week.” I cut all the books I got last week and start adding what I got this week. By Saturday night, I try to pull the post together with everything that should be in it. 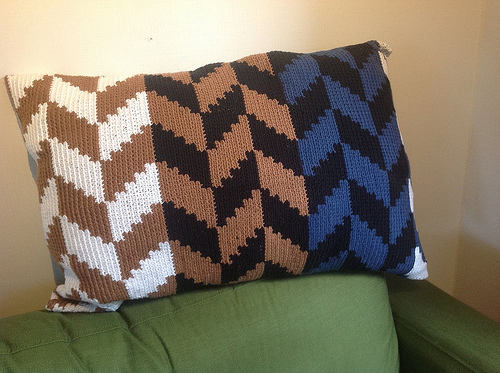 I’m going to try to build a cushion of non-review posts that I can use like your “Lola’s Ramblings” posts. I’ve done some, but rarely ahead or on a schedule. Thanks! I like being organized and this system works for me. I wish I could get more ahead with reviews as well, but I am only one week ahead at the moment. I find copy and pasting works well with the sunday post, I tried making a template, but copy and pasting works better for some reason. I managed to get ahead when I ust started my feature and ever since I worked hard on staying there. It’s nice to have a buffer. Thanks for sharing Lola, I love posts like this as it inspires me when I see how organised and hardworking other bloggers are. I try to be organised but it can depend on how busy other parts of my life are. My Sunday Post process is very similar to yours in that I start early and add to it all week. I wish I was as quick as you to get those reviews written but sometimes it can be a week later before I write them. And I love that you are organised for 2 months for Lola’s Ramblings and your Kitchen Posts, I need to get on top of my discussions a bit more. I love to write them and I love the chat they generate and I think having a buffer of those written would make me feel good. I always have the feeling other bloggers are much more organized than me, so it’s been nice to hear how others think I am so organized as it feels normal to me, so it’s difficult to know hwo it compares to others. When my life is more busy I often get less ahead. I prefer to write my reviews so quickly as then I still have everything clear in my head and I like to start fresh with a new book and finish the last book. And writing my review sort of has become part of finishing a book for me. Having a buffer with the ramblings and kitchen posts really helps and makes me more motivated to write new ones. I just wish I could get ahead with my reviews as well. I’m still new so I don’t have anything this organized on the blog right now. Also, nothing major going on my blog yet so most of them are just reviews. I just post any time of the day whenever I finished reading a book and drafted a review. Someday, I might be able to put up something like this. That’s normal to not be as organized when you’re new. I also started that way with only a few reviews and posting when I felt like it and slowly it changed into this. I write them whenever I can and usually in Evernote while I’m doing other things. The only posts I really sit down to write at my computer are my Sunday Updates (I’m about to do this now) and my posts that require a lot of images. I wish I could write more posts in advance! If blogging were more of my business, I think I would definitely write a lot more in advance. I think you run your blog pretty well and you still have a few posts every week. And your posts are fun to read :). 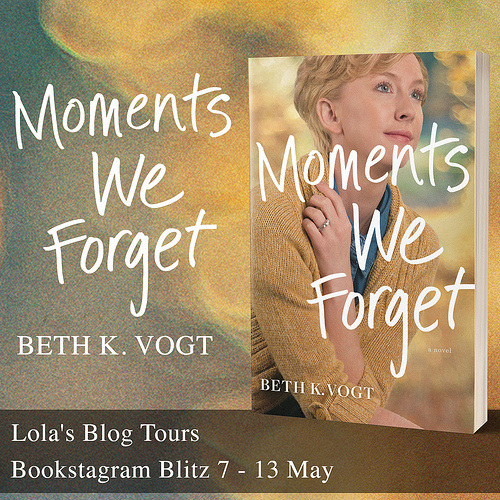 As my work with Lola’s Blog Tours is pretty flexible it means that some week I have more free time to blog and other weeks almost none, so working ahead makes me able to write the posts when I have time and not worry too much about writing blog posts when I have less time. You are so organized. I guess you have to be with so much going on. I sort of have a system, but because there aren’t a lot of demands on my time I flail around from time to time. Reading your routine makes me think that writing out what I think my schedule is may help me stick to it. Is this a post idea that I can pirate? Thanks :). Writing thigns out certainly makes it easier to get a feel for what you do. In my head it’s all sort of organized chaos, but writing it down like this and reading other people their comments, makes me feel a lot more organized than I thought I was. I have a organized chaos way of blogging. It all makes sense in my head, but most of it is more routine than that I actually write things down and plan it. And having a schedule for what I want to post on each day really works for me. I usually don’t have enough spare time on one day to write more than one or two blog posts, thanks to my work, so that’s why it’s all spread out over all the days. It does sound handy to have one day to focus on blogging and writing. I do have more time usually on sundays so that’s why I focus on double checking the posts for the next week and social media. I think for blogspot they also have ways to schedule your posts ahead on social media. I think I saw Anna from Herding Cats and Burngin Soup use that. Oh and tweetdeck is great for scheduling ahead on twitter. I also know of hootsuite, I think that one works for all social media and might work for you? Michelle@Because Reading recently posted…I changed my mind 🙂 ~ Task It Tuesday!